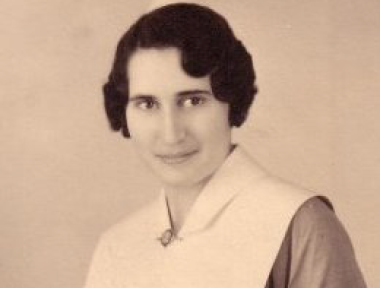 Born on June 2, 1913 in Arcola, Saskatchewan, Ruth came to Vancouver and worked at Vancouver General Hospital until 1942. She then joined the Royal Canadian Army Medical Corps to serve overseas in World War II and was recruited to the hospital ship, Lady Nelson, Canada’s first hospital ship, where she – along with 14 nursing sisters cared for up to 500 sick and wounded patients on trips from battle zones back to England or Canada. The Lady Nelson was torpedoed by a U- Boat while in dock in Italy and she climbed back on board their devastated ship to care for casualties, mostly with extreme burns. She then spent the rest of her life caring for and working on behalf of Canada’s veterans. Working at Shaughnessy Military Hospital, she became the Director of Nursing. Because of field experience in the military treating kidney failure, she was involved in the first renal dialysis treatments in Vancouver and trained two teams of nurses. She was also an early investigator of home care for veterans, and her findings were adapted to veterans throughout Canada and indirectly influenced the development for home care for all Canadians. Your ticket for the: New “Ruth Echo (Littlejohn) McIlrath Bursary” Announced!